Georgia Greener is a high-yielding, typical-seeded, runner-type peanut variety. Georgia Greener has a high level of resistance to the spotted wilt disease caused by tomato spotted wilt virus (TSWV). As the name implies, this plant has darker green foliage, a typical runner seed size, and a medium maturity similar to Georgia Green. In 26 multi-location tests conducted in Georgia from 2003-2005, Georgia Greener was found to have the lowest disease incidence, highest pod yield, highest TSMK (totally sound mature kernels) grade, and highest dollar value return per acre compared to Georgia Green and all of the other runner-type varieties tested each year. In 2006, Georgia Greener was again found to have the best overall field performance compared to five runner-types released at about the same time. Georgia Greener was developed by Dr. William D. Branch at the University of Georgia’s Coastal Plain Experiment Station in Tifton, Ga., and released in 2006. This protected peanut variety can only be sold as a class of certified seed by individuals who are licensed by the University of Georgia Research Foundation (UGARF) and Georgia Seed Development (GSD). Dr. William D. Branch is an award-winning plant breeder who oversees the peanut breeding program at the University of Georgia’s Tifton campus. 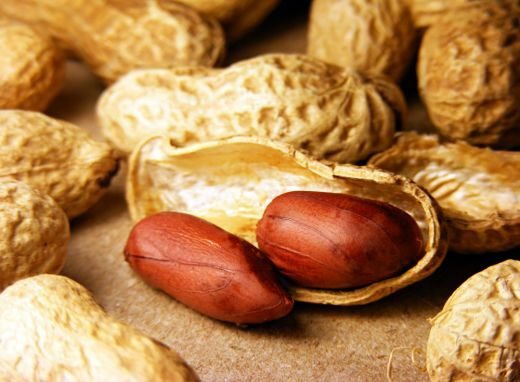 He has long been actively involved in the development of improved varieties of peanuts. These desirable traits include increasing yield, grade, better shelling characteristics and shelf-life; enhancing flavor and nutritional qualities; and improving resistance to disease, insects, viruses, nematodes, aflatoxin and drought. Since joining UGA in 1978 as an Assistant Geneticist, Dr. Branch has received numerous awards for his work, including the Dow AgroScience Award for Excellence in Research (2005), the American Peanut Council’s Peanut Research and Education Award (2003) and the Georgia Crop Improvement Association Distinguished Service Award (2003). Dr. Branch holds a 100 percent research appointment in peanut breeding. It normally takes about 10 years to develop a new cultivar, and he has released 19 new peanut cultivars from 1986 through 2012 (including one a year from 1999 through 2012). He holds seven plant patents and has been involved in the publication of numerous plant breeding and crop science papers. Dr. Branch has served as Chairman, Peanut Crop Registration Committee for Crop Science Society of America; Coordinator, National Uniform Peanut Performance Tests involving all major peanut states; and as a member of the Peanut Crop Germplasm Committee of the USDA National Plant Germplasm System. He also served on the Georgia Crop Improvement Association Advisory Committee and the Peanut Commodity Committee and the Plant Cultivar and Germplasm Release committees of the UGA College of College of Agricultural and Environmental Sciences. His professional affiliations include the American Society of Agronomy, the Crop Science Society of America, the American Peanut Research and Education Society, the American Genetic Association, the Council of Agricultural Science and Technology, the American Peanut Council, and Sigma Xi. He received his B.S., M.S., and Ph.D. degrees from Oklahoma State University at Stillwater, OK.
©2019 Georgia’s Integrated Cultivar Release System.